Your credit score says a lot about you – at least to lenders it does. It’s a reflection of how you’ve managed your debts, and how likely you are to pay back what you borrow. It can also tell lenders how responsible you are when it comes to making timely payments, handling your finances, and not taking on more debt than you can manage. All of this is important to lenders because they use credit scores to determine which borrowers are a good credit risk, and which are more likely to default. That’s why having “fair” credit – defined by Experian as a score of between 580 and 669 – can make it much harder to qualify for a loan. There are, however, lenders willing to make loans to people with fair credit. It’s these lenders that can help you with a personal loan, even if your credit is just OK. You may pay a little more in interest, but you’ll have access to the cash you need and it can help you as you work your way back up the credit score food chain. If you’re just beginning your search for a personal loan lender, or just don’t have the time to research and apply to all of the available lenders out there, then PersonalLoans.com may be right for you. That’s because this company isn’t a direct provider of personal loans, but rather an online lending network that connects you with a variety of potential lenders based upon your individual qualifications. By filling out a single application, PersonalLoans.com will submit your loan request to its many partner lending institutions whose criteria you meet. Loans are available from $500 to $35,000. For those toward the bottom end of the fair credit range, you may find a lender that specializes in loans for bad credit more helpful. BadCreditLoans.com is another online lending network with a large number of lending partners that specialize in loans for bad credit borrowers. There is no minimum credit score requirement to apply, but individual lenders may have their own criteria loan applicants must meet. There is no cost to submit an online loan request through BadCreditLoans.com, and loans can range from $500 to $5,000. Perhaps the largest and most recognizable name in the online lending pool, LendingTree is best known for its mortgage-related products. However, this lending network also provides personal loans for things from debt consolidation to auto financing and even small business loans. With one of the largest lender networks in the nation, LendingTree claims it can provide qualified applicants – even those with fair credit – multiple offers within minutes. Loan amounts range from $1,000 to $35,000 and the application process can take as little as five minutes. Simplicity and flexibility are at the heart of what PersonalLoans.com promises with its online loan request process. Simple because the entire process can be completed in just a few easy steps, and flexible because you select the amount you want to borrow and how long you need to repay it. The online loan request asks for some basic personal, banking, and income information, which will be used to determine the type of loan you may qualify for. To meet the requirements for most loans you must show an income, have a bank account, be at least 18 years of age, and have at least fair credit. After submitting your loan request, PersonalLoans.com network lending partners will review it and decide whether to extend a loan offer. The company uses an advanced algorithm to ensure your loan request gets sent to the best potential matches. You’ll then receive quotes from lenders with clear terms and conditions, including the interest rate and repayment schedule. What would you do if you had an emergency and needed to come up with $400 in just a few days? According to a Federal Reserve survey on the economic well-being of American households, 130 million of us couldn’t come up with even this amount from our personal savings. That’s the problem MoneyMutual has set out to solve by providing fast short-term loans of up to $2,500 in as little as 24 hours. The interest rates and terms for a short-term loan from MoneyMutual’s lending partners will vary based upon individual applicant qualifications. The online application process is one of the fastest around and can take less than five minutes, according to the company. Once you receive an offer, the exact terms and conditions will be presented in the agreement. As a member of the Online Lenders Alliance, MoneyMutual adheres to the best practices and code of conduct of this trusted group. 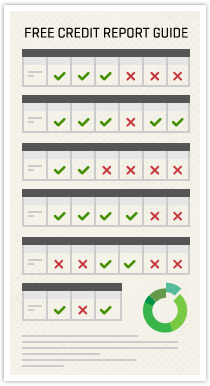 If you know LendingTree exclusively as a mortgage lender, then you don’t know the whole picture. As one of the largest personal loan marketplaces in the country, this lender network has consistently lower interest rate options available for fair credit borrowers. You’ll also be shown why a particular loan offer was recommended for you, with qualifications such as “Lowest APR” and “Highest Rated” lender. Having built a solid reputation during its more than 20 years of offering low-cost mortgages, the company is now bringing that same level of service to the personal loan market. LendingTree’s online marketplace lets you filter for the best rates available and shop around for the lowest fees. Loans from its huge network of lenders can range from $1,000 up to $50,000 for qualified applicants. If your credit score happens to reside at the lower end of the fair credit spectrum, BadCreditLoans.com may be the lender network for you. In just three easy steps, you could be approved for a loan from $500 to $5,000 if you meet certain requirements. This network of lenders offers one of the easiest ways to obtain a personal loan with its simple online application and fully automated online approval process. Interest rates for a loan from BadCreditLoans.com’s lenders can range from 5.99% to 35.99% with loan terms from 3 months to 60 months. You’ll be presented with the exact terms and conditions of your loan upon approval, and the lender will clearly state any fees that may apply. And since these are fixed-rate and fixed-term loans, your monthly payment amount won’t change. Like many of our recommendations for fair credit lenders, LendingClub is an online lending marketplace. Unlike the others, however, this is a peer-to-peer lending network. What that means is borrowers are matched with investors through this unique platform, and loans are made with LendingClub acting as the intermediary. You apply online, select from the loan offers you receive, and when you’re approved, you get the money deposited into your account. These are unsecured loans, meaning there is no collateral required, and the interest rate and monthly payment amount are fixed. You apply online, select from the loan offers you receive, and when you’re approved, you get the money deposited into your account. These are unsecured loans, meaning there is no collateral required, and the interest rate and monthly payment amount are fixed. There is a one-time origination fee of between 1% and 6% that’s charged only after you receive your loan. There are no pre-payment penalties if you pay off your loan early. For fair credit borrowers who don’t qualify for an unsecured loan, consider a secured loan from OneMain Financial. A secured loan is one that uses the value of an asset as collateral for the loan. This allows protection for the lender in case of default and therefore gives the borrower better terms for the loan. Used primarily for debt consolidation, life events, auto loans, and home projects, a secured loan through OneMain uses the value of a paid-off vehicle — your car title — as the loan’s collateral. OneMain says there is no minimum credit score needed to qualify, however, its average customer has a credit score between 600 and 650. For borrowers who reside at the upper end of the fair credit range, it may be worth your consideration to try for a Wells Fargo personal loan. This well-known bank offers many of the conveniences of online lenders, including a completely electronic application process, while providing the security of one of the nation’s largest financial institutions. If you have a current account with the bank, a relationship discount may even apply. 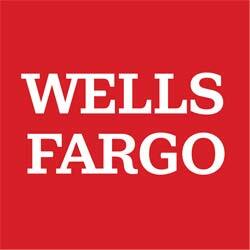 A Wells Fargo personal loan offers a fixed APR, fixed term, and fixed monthly payments. A representative example might be: $11,000.00 borrowed over 36 months at 12.99% APR results in a monthly payment of $370.58 over the life of the loan. There are no loan origination fees or prepayment penalties with a Wells Fargo personal loan. Credit unions are great places to apply for a personal loan when you have fair credit. As member-owned organizations, interest rates and fees charged by credit unions tend to be much lower than those of traditional banks. Alliant, as with all credit unions, requires you to be a member of the credit union to apply for a loan; however, membership is open to more people than you may think. Headquartered in Chicago, Alliant membership is open to employees and retirees of certain organizations, relatives of Alliant members, and even some nationwide clubs that are free to join. Once you’re a member, personal loans from $1,000 to $50,000 are available for terms from 12 months to 5 years. Interest rates start as low as 6.74% up to 10.74% for longer-term loans. Can You Get a Personal Loan with a Fair Credit Score? Having fair or average credit puts many Americans right at the edge of qualifying for better loan terms and APRs. It’s not quite the nose-snubbing you’d get if you had really bad credit, but it’s a far cry from the welcome mat you’d see if your credit was good or excellent. The positive news, though, is that there are lenders out there who really want your business. Traditional lenders, like banks and credit unions, are the places most people think of first when it comes to getting a personal loan. And while there are a willing few, like the ones we mentioned above, most will require a score at the high end of the fair credit range. Generally, credit unions are more likely to consider factors other than just your credit score, but if you’re below 620 or so, it becomes much harder. 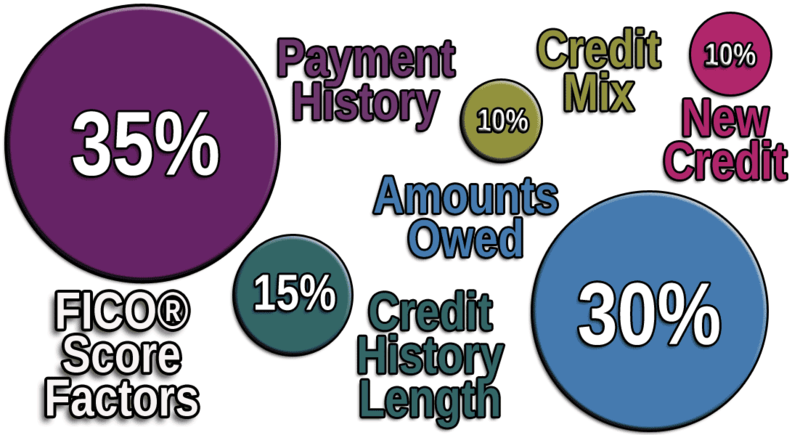 The graph shows the credit score ranges for the two main scoring models used by credit bureaus. The lenders most likely to offer you a personal loan are those that specialize in this niche. Small lenders that are part of a lending network, like those we’ve listed above, are a good bet. They have their own unique criteria and lending algorithms designed to identify qualified borrowers like you, who just so happen to have less-than-stellar credit. Online lending networks don’t make direct loans, but rather connect lenders in their affiliate networks with borrowers. When you do receive a loan offer, it will be from one of these lending partners. As always, make sure to read the loan agreement completely and ask questions about anything you don’t understand. How Do I Apply for a Personal Loan with Fair Credit? Applying for any loan requires you to fill out a loan application. Depending upon the lender and the format, a personal loan application can take minutes or hours to complete. This information will be used to verify your identity, check your credit report, and analyze your credit risk as a borrower. Almost all of our financial information these days is stored in various banking and credit system databases, and computers do the majority of the verification. That’s why many of the lender networks can provide loan offers within minutes on receiving an online application. When you do receive a loan offer (or multiple offers if you’re lucky) the terms should be clearly laid out. You should know the interest rate and length of the loan, how much you will be paying each month, and any fees you may be charged either now or in the future. Once you agree and sign, the funds may be available to you in as little as one business day – although it can take as long as a week in some cases. Do Personal Loans Help Your Credit? Anyone with a fair credit score should be doing everything within their means to increase it. The reason for this is probably obvious – the higher your score, the better your credit and loan terms will be. Moving from fair to good or even excellent credit can mean a savings of hundreds of dollars in interest on future loans. So, can getting a personal loan actually help your credit score? In a word, yes. That’s because a portion of your credit score, 10% to be exact, is based on your credit mix. The credit rating agencies that calculate your score like to see a blend of credit types from revolving accounts like credit cards, to auto loans, and yes, personal or installment loans. Almost all lenders that make personal loans will report the payments to the credit bureaus. An exception to this could be loans secured by property, although even these lenders have begun to report payments to the bureaus more consistently. One thing to make note of is that applying for a personal loan may result in a hard credit inquiry or “pull” by the lender, which can have a short-term impact on your credit score. If you’re using a lending network, any of the lenders who consider you for a loan may pull your credit. The result can be a drop of a few points in your score. It is possible this could have a negative impact if you’re on the border of fair credit and bad credit. People choose to apply for a personal loan because they need one, for reasons as varied as debt consolidation, medical expenses, business needs, emergencies, and the list goes on. If you’ve decided a personal loan is your best option, then shopping around for the best deal you can find makes good financial sense. Having a credit score that’s considered “fair” shouldn’t consign you to the junk heap of loan offers. We know people deserve to be treated fairly and with respect always – not just if you happen to have a good score. Plenty of options are available out there so you don’t have to settle for exorbitant interest rates and revolving debt traps. As you work your way back up the credit score ladder, consider the lenders we’ve recommended here as trusted sources for fair loans. When included as part of a plan to rebuild and improve your score, a personal loan from one of these lenders or lender networks can help you on your way to a better score and better future offers.